All are welcome – parents and children – and there is no need to book: just turn up on the night. At the open evenings, there will be an opportunity to meet our Headteacher, Deputy Headteacher and Governors – as well as hear about the educational plan for the Greenwich Free School and find out more about the process of opening in September. You will also be able to pick up paper application forms and get help filling out the forms, should you wish. The school will have smaller classes; a ‘no excuses’ approach to attitude, work and discipline for staff and pupils alike; an extended day; a ‘depth over breadth’ focus on core subjects – English, Maths and Science; and a wide-range of compulsory daily extra curricular activities. Interestingly, like the Shooters Hill Schools of Arts and the South London Free School, one of their proposed locations is Adair House (the other option is Polytechnic Street in Woolwich). 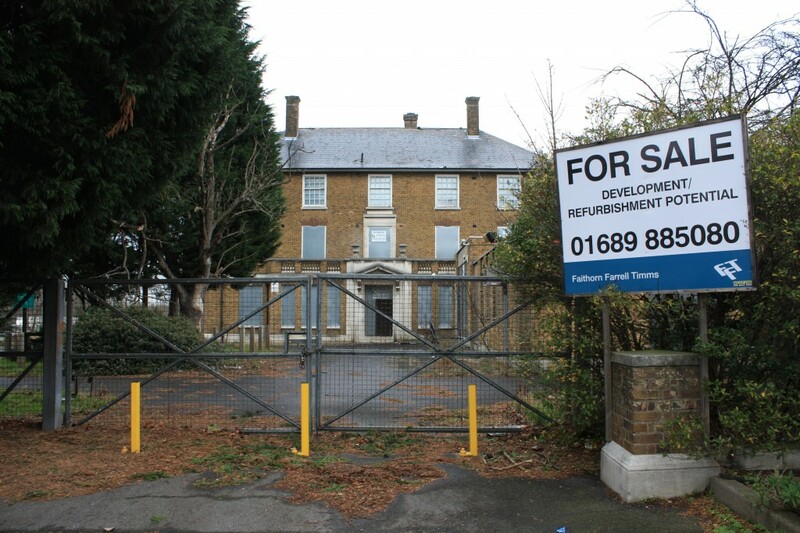 Will Adair House finally provide a home to a free school? Adair House - Possible Home for the Greenwich Free School? 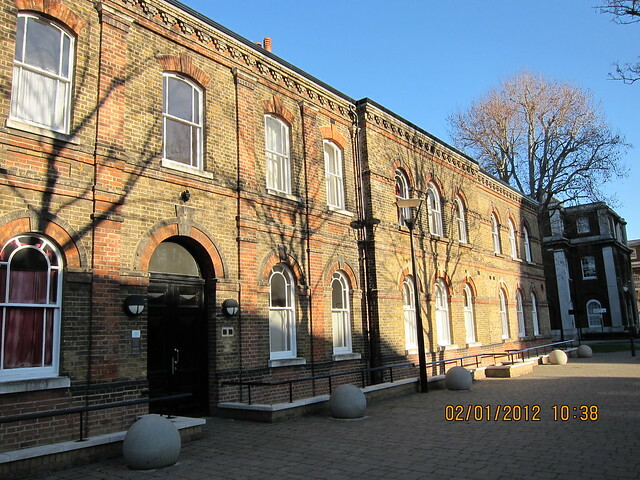 Postscript: Greenwich Free School confirmed on 25th February that they have secured Adair House as their permanent site. 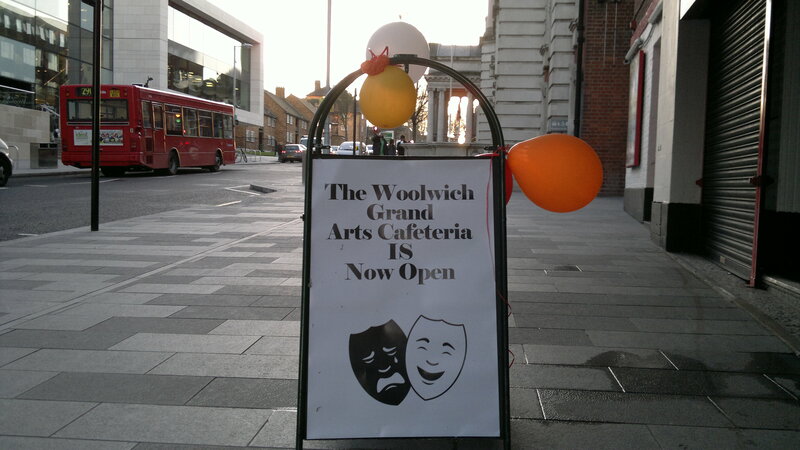 The Woolwich Grand Theatre will be holding an open day on the 28th of January from 10am to 4pm for everyone to come and have a grand tour of the building, boiler room, the upper circle projector room and other areas of interest to you. Come and join us and have a lovely cup of tea. We will be charging £6 per person. This follows the musical fund raiser last Friday and the opening of the Arts Cafeteria on Wednesday. The music last Friday was superb. An excellent acoustic Candythief unplugged set, including songs from the Partisan CD was followed by a rumbustious Mr Ron Jetson on a very expensive piano accompanied by violin and saxophone. The evening concluded with the amazing voice of the Falsifiers’ Liam Ings-Reeves, whose deep, gravelly, bluesy versions of the chain gang song Another Man Done Gone and the spiritual Wade in the Water contrasted with a gentler Jess Hannar solo. The whole evening well lubricated by Adrian’s jokes. Adrian said that he will invite these musicians back to the Grand in future. I’ll be looking out for that; they’re definitely worth seeing and hearing again. The next event will be Friday 17th February, we will be holding a comedy and music evening featuring warm up comedians, two bands and a poet, details to follow. After being allowed to open this will be our last free performance evening for now. It’s great to see the Grand getting going. Ms Heidi Cruickshank, an Inspector appointed by the Secretary of State for Environment, Food and Rural Affairs will attend at The Public Hall, Woolwich Town Hall, Wellington Street, SE18 6PW on Wednesday 8 and Thursday 9 February 2012 to hold an inquiry into an application by Pellings LLP on behalf of London Borough of Greenwich for consent under Article 12 of the Ministry of Housing and Local Government Provisional Order Confirmation Act 1967 to carry out works on Eltham Common (CL40). The proposed works comprise the formation of new hard and soft play areas consisting of playground (245 square metres), multi-use games area (858 square metres), soft/grass play area (660 square metres) and new planting (55 square metres and 48 square metres). All areas to be enclosed by fencing (2.1 metre high by 44.5 metre long and 2.7 metre high by 51.7 metre long weld mesh fence) and railings (1.5 metre high by 73.75 metre long painted metal) with gates. 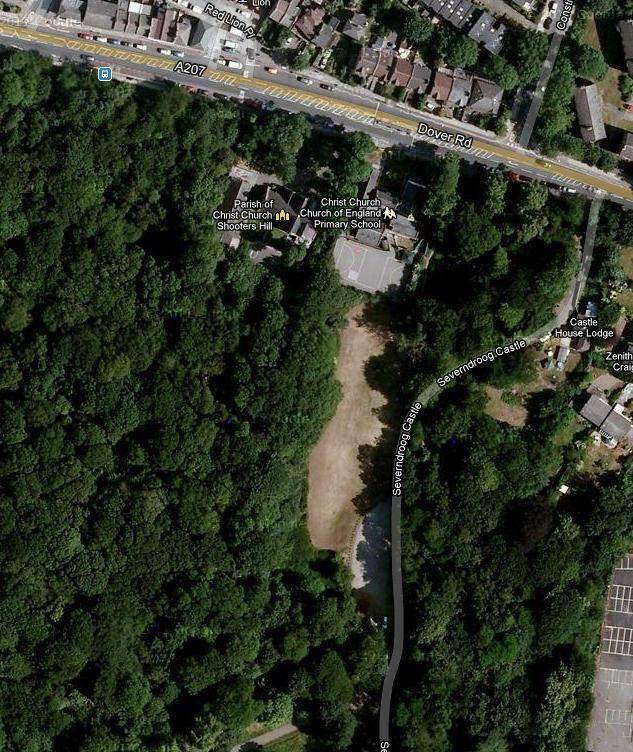 A new footpath will be formed from Shooters Hill Road alongside the existing school to the school and new play areas. 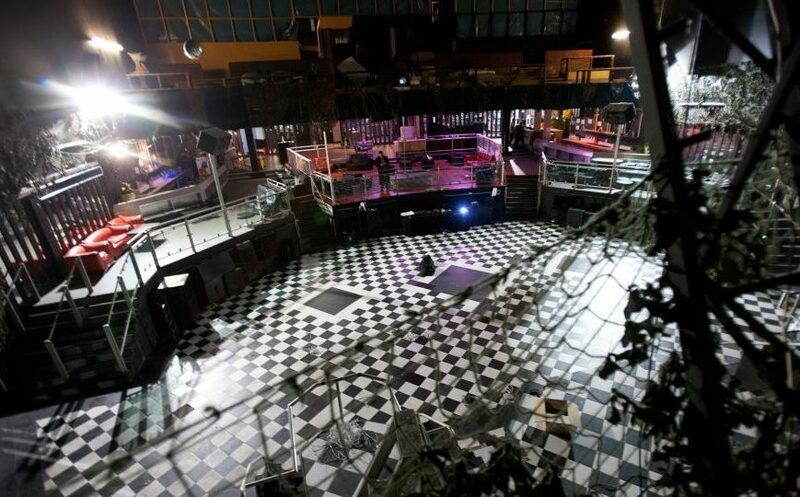 The inquiry will begin at 10.00am on Wednesday 8 February 2012. Anyone can attend the inquiry. Anyone who wants to be heard on the subject matter of the application may, at the discretion of the Inspector, give evidence at the inquiry or arrange for someone to do so on his or her behalf. 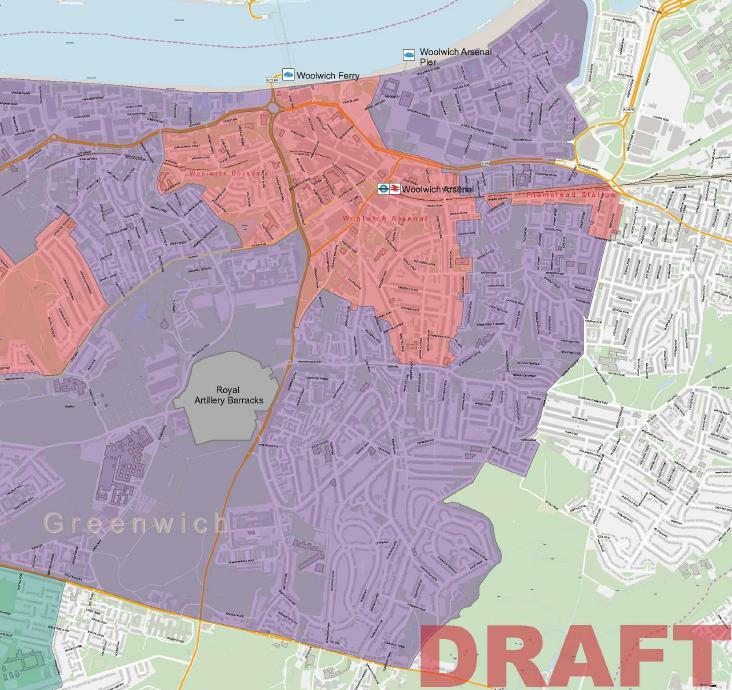 The original application for the school’s rebuilding work and creation of a play area and muga court was approved by Greenwich Council in November. (What’s a muga court? I had to look this up – wondering whether muga was a new game, some kind of Nepalese Quidditch perhaps – but it’s just a Multi-Use Games Area). Unfortunately the revamp of the Greenwich Council web-site means that the original documentation is not currently accessible, but the notice above summarises the issue – the use of a 50m by 40m area of common land for a games area for the school when the school buildings are extended into their existing play ground. 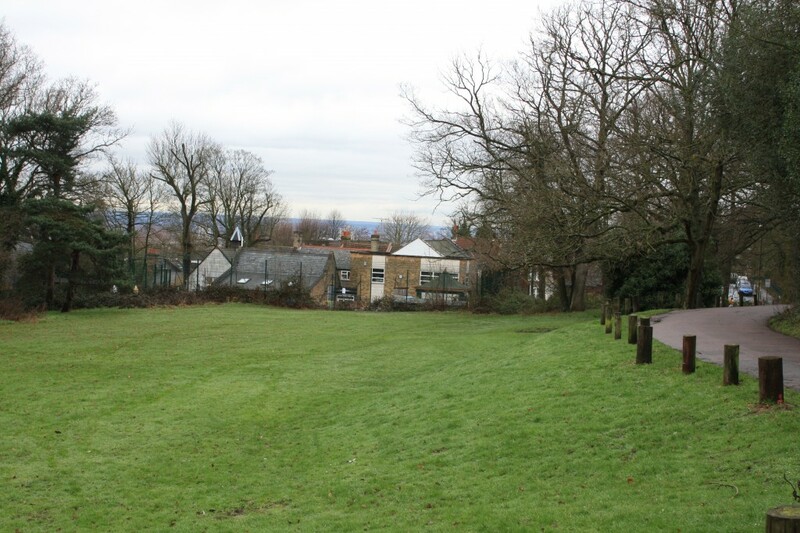 The area is the field behind the school, alongside the track that leads to Severndroog Castle. The Google Maps snippet above shows the area quite clearly. By my reckoning 50m is perhaps half the length of the meadow. The proposed grassland area on which the MUGA pitch is proposed to be built is in an area which is extremely important for nature conservation. In the Greenwich Borough plan it is designated as a Site of Nature Conservation Importance of Metropolitan Importance. This means that it is in the highest category in London and its retention as an ecologically sensitive area is important for London as a whole. I have already alluded to the importance of this site and I think you should bear this in mind when looking at the ecological impact and the landscape impact of the proposed inappropriate development. To quote the Greenwich Borough plan policy 018 “a network of sites of nature conservation importance throughout the borough have been identified for protection”.It seems to me to be a strange form of protection to propose to cover most of the site, in this instance, with hardstanding material for what is, in effect, a fenced soccer pitch. But, and this is a big but, Christ Church School needs to be able to expand its current accommodation for staff and pupils. It is cramped in its current building, but despite this the school was rated Grade 1 – Outstanding – in its last Ofsted Report. And the area of land involved is quite small when set against the size of Eltham Common, not to mention the totality of the common and woodland area across Shooters Hill. Although Greenwich Council’s decision to approve its application for the Equestrian Centre next to Woodlands Farm isn’t, and shouldn’t, be a factor in the Planning Inspector’s decision, I feel it complicates the issue. The Equestrian Centre will also be built on Metropolitan Open Land. It feels like the council is gradually chipping away at the area’s Metropolitan Open Land, paying no respect to its own rules and guidelines set out in the Unitary Development Plan. It prompts the question what will they grab next? Personally if there was a choice between building an Equestrian Centre that won’t provide much benefit to the local community, and allowing an outstanding school the space it needs to do its job I’d have no hesitation choosing approval of the school’s plans. It should be an interesting Inquiry meeting; I don’t envy the Inspector her decision. 2.3 The exterior of the building is to remain largely unaffected, with exception to the ground floor shop fronts, which are non-traditional 1960’s replacements which do not contribute to the special interest of the building. In addition the principle front entrance is to undergo improvements, reinstating a traditional door in order to improve its appearance. The first and second floor windows are to be replaced with timber frames and slimlite double glazed units. The joinery details are to reflect the existing to maintain the appearance of the building. At roof top level it is proposed to install both P.V panels and plant units, both positioned to be visually unobtrusive. The majority of the external works to the front facade will be repairs, renovation and enhancements, preserving the architectural features and overall character of the building. 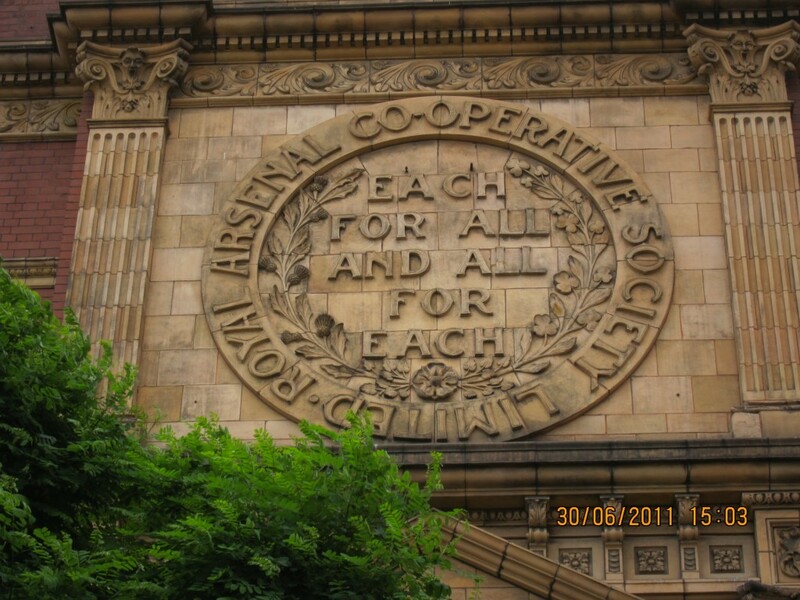 The Royal Arsenal Co-operative Society was set up by workers at the Royal Arsenal in 1868, based on the principles of the Rochdale Pioneers. It initially sold basic food-stuffs. However it grew rapidly and at its height had a large network of stores, and owned farms that supplied the produce it sold. As with other Co-operative organisations it was very much involved in the local community, supporting education, establishing libraries and supporting youth clubs, a cricket club, an orchestra and two choirs. Profits were distributed to the people who shopped there in proportion to how much they spent – the divi. I remember the light, tin divi tokens they used to give to shoppers, not that long ago (really). Alexander Mcleod (1832-1902) one of the founders of Royal Arsenal Co-operative Society (RACS), set up by Arsenal workers in 1868. First full-time secretary from 1882 until his death. He was the son of Skye crofters and served an apprenticeship of five years as a mechanical engineer on the Firth of Forth. He then worked for Scottish railway companies. At the age of 27 he visited a friend at the Great Eastern railway works at Stratford and secured work at the Arsenal at Woolwich where he stayed until 1878. In 1882 he was appointed dual Secretary and Manager of the Royal Arsenal Co-operative Society which had been set up by a group of workers from the Arsenal in 1868, and he remained so until his death. ‘The Royal Arsenal Co-operative Society, standing like a pillar of cloud or of fire of old, to show to London the road to a better social system, is the monument that commemorates his life work’. 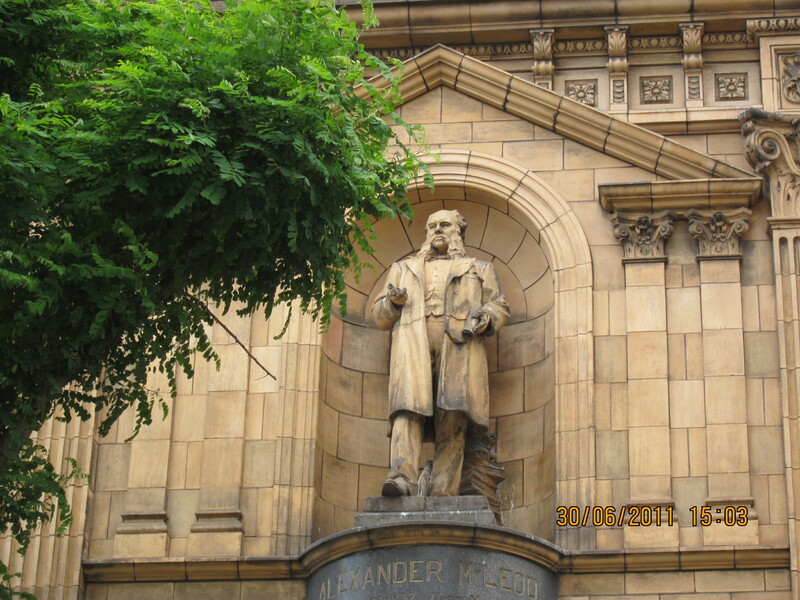 Alfred Drury also created the sculptures of Queen Victoria and Prince Albert at the entrance to the Victoria and Albert Museum, the statue of Joshua Reynolds in the courtyard of the Royal Academy and the Blackwall Tunnel Commemorative Plaque, as well as many others. I’m hoping that the work on the RACS building is the start of a regeneration of the Northern end of the Woolwich shopping area. Planning approval has already been given for the redevelopment of the apex of the Woolwich triangle, with a “major retailer” lined up to occupy the largest of the new retail units there. The future of the art-deco RACS building on the opposite side of Powis Street still seems to be undecided, though there are suggestions that it won’t be demolished. 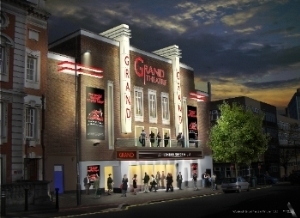 There are indications that the art-deco Granada Cinema will be sensitively restored by the Christ Faith Tabernacle. Their Heritage Report has some fabulous pictures of the interior of the cinema in its prime. Then there is the middle of the odd-numbered side of Hare Street. I walk down there (fairly) often on my way to the gym at the Waterfront Leisure Centre. It seems such a shame that the proud old Victorian buildings have been given over to buddleia and broken windows. 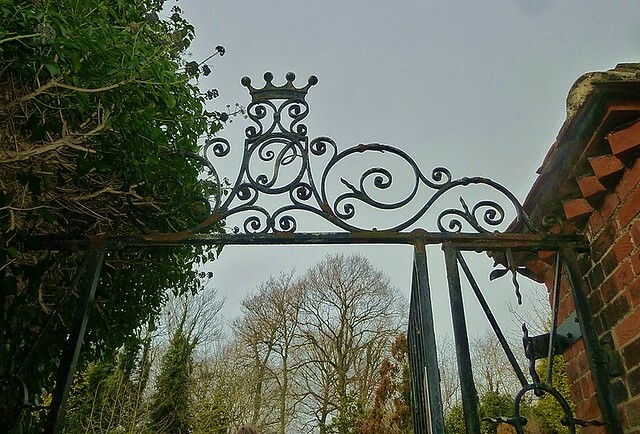 I look forward to news that they will also be restored and used again. I think it’s great that so many of the changes to historic buildings in Woolwich and Shooters Hill have managed to strike a balance between architectural conservation and the requirements of modern use. As well as the current redevelopment of the RACS building, the Royal Arsenal development and the Royal Military College seem to have retained much of their historic architecture. 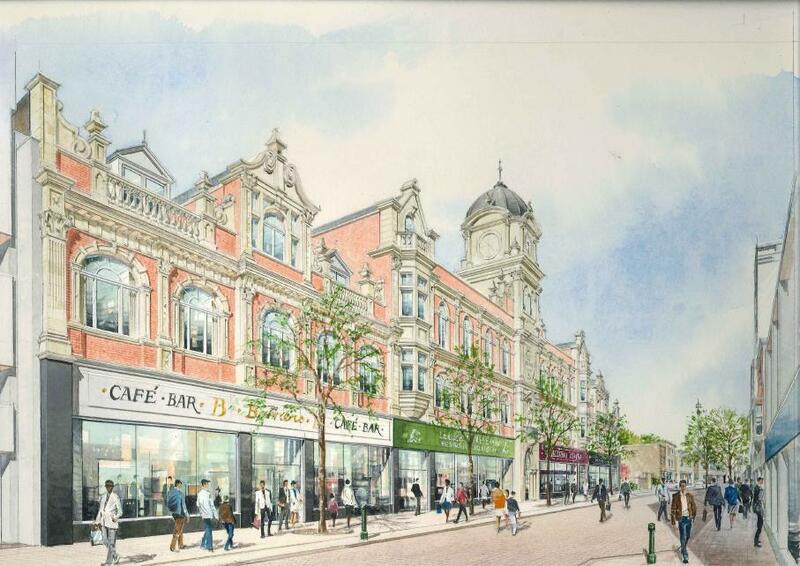 And with all of the new housing being built maybe there’s hope for the regeneration of Woolwich’s retail area. I just caught the LOCOG/Greenwich Council/TfL stand in General Gordon Square about traffic management during the games before the wind and rain blew them in to Woolwich Library. They will be there again tomorrow (weather permitting I guess), and they have published some, but not all, of the displays on the London 2012 web site. The proposed road closures weren’t surprising. Roads around the Olympics venues – Ha-Ha Road, Circular Way and perhaps less expectedly Repository Road – will be closed. There will be a checkpoint for traffic coming along Charlton Road, with all non-games traffic diverted down Stadium Road. Buses will be diverted around the closures. The main impact proposed for us Shooters Hill residents will be a large extension of the residents parking zone across the hill, as shown in the extract from the map, above. The additional area is North of Shooters Hill Road, bordered on the East by the Golf Club and Shrewsbury Park, Wrekin Road and Ennis Road down to the Common then down to join the current restricted parking zone round Plumstead Station. Details of how we can get parking permits, including permits for visitors, will be communicated “early in 2012”. 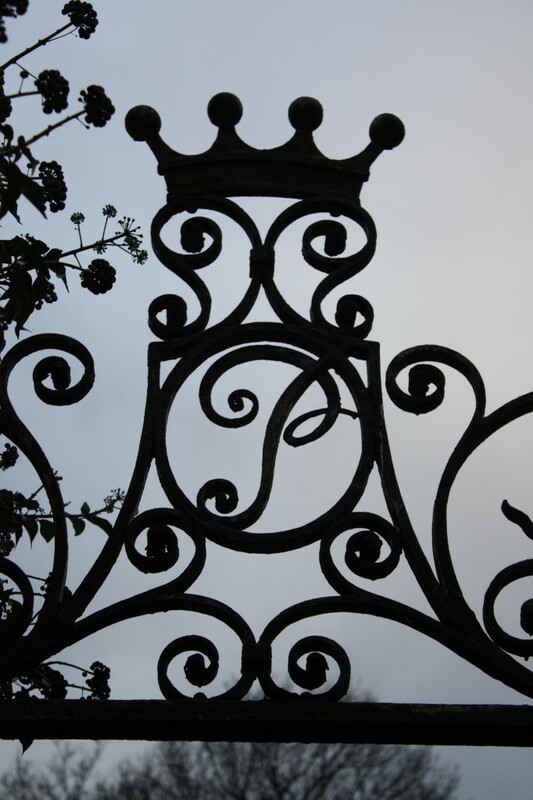 The web site does say that we are entitled to visitor permits, but not how many. Providing they get all the details right this sounds like a good way to deter Olympic games spectators from filling all the roads around the venues with parked cars, with not-too-much impact on residents. Parking fines are likely to be increased to £200 for the duration of the Games. Candythief: Drawing on alternative, folk, rock and indie influences, the songs are melody-driven and eclectic in style, lyrical and direct, coloured by the unusual song structures typical of Candythief arrangements. Thematically, it deals in an uplifting way with the possibility that modern culture has sold us a bit of a lemon. The Falsifiers: Liam, Jess and Adam. Tom Waits, hill-billy edgy sweetness combining guitar, fiddle and washboard for not-so-rickety yet rickety song. Mr Ron Jetson: A three piece version consisting of Ron as himself and this time on piano, with Luke Barlow providing saxophone and Jess Hannar on violin. Songs for all the ages strangely combining Waits with the Dan. Please come down and support us and change Woolwich for the better. Candtyhief was started by singer-songwriter Diana de Cabarrus on vocals/guitar/sandwiches, and at full strength comprises Jem Doulton on drums, Jason Dickinson on fiddle and Jason Simpson on electric & double bass.Their latest, and third album is Partisan, embedded below. Mr Ron Jetson‘s latest album is Danger Danger. Sounds like it will be an amazing evening of music, at a great venue! The Ripley Arts Centre in Bromley will host a joint exhibition by two local artists, Colin Fifield and Ray Marshall, starting on the evening of 31st January and running to 24th February. Ripley Arts Centre is located at 24 Sundridge Avenue, Bromley, Kent, BR1 2PX – not far from Bromley town centre. Colin lives on Shooters Hill, South East London. He first studied art and design at Camberwell School of Art from 1958 to 1962 specialising in Painting, Lithography and Illustration. He was awarded the National Diploma in Design (NDD) in 1962. From 1962 to 1964 he completed a two year post graduate course in Painting and Engraving at the Slade School of Fine Art, University of London where was awarded the Slade Diploma in 1964. His art has always been very eclectic. 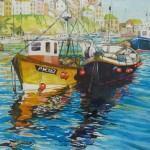 His interests range from landscape paintings in oils, watercolours and acrylics. His main inspiration comes from the landscapes of the South East Coast especially the areas of Dungeness, Deal and Hastings. Ray Marshall was born in Lambeth and moved to Plumstead, South East London, in 1975, where he has remained a local resident since. Having undertaken some formal study at Morley College, tutored by Lawrence Toynbee among others, Ray is mostly self-taught. His work covers an eclectic mix of subjects, taking inspiration from nature, architecture, historical references, dance and music and the general observation of the world around us. Ray’s interests provide a wealth of stimulation as he enjoys walking in the countryside and urban settings, cross country running, motorcycling and bird watching, as a member of the RSPB. These activities afford the opportunity for collecting photos, sketches and notes which provide reference material for his work in watercolour, oils, pen and ink and pencil drawings. This wide ranging body of work has been exhibited in a number of local shows and produced commissioned works for patrons both locally as well as in America, Canada and Australia. 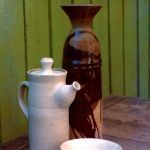 Colin Fifield is also a potter, specialising in stoneware especially domestic pottery such as mugs and jugs. He is one of the Eltham Art Group who have an exhibition at the Blackheath Halls in March which will include oil paintings, photography and contemporary images. Other members of the Eltham Art Group are Claire Rowlands, Peter Clark, Graham Redmayne and Graham Davies. 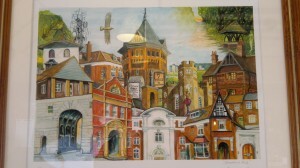 Ray Marshall painted the Shooters Hill montage that can be seen in the Bull and in the Oxlea Wood Café. 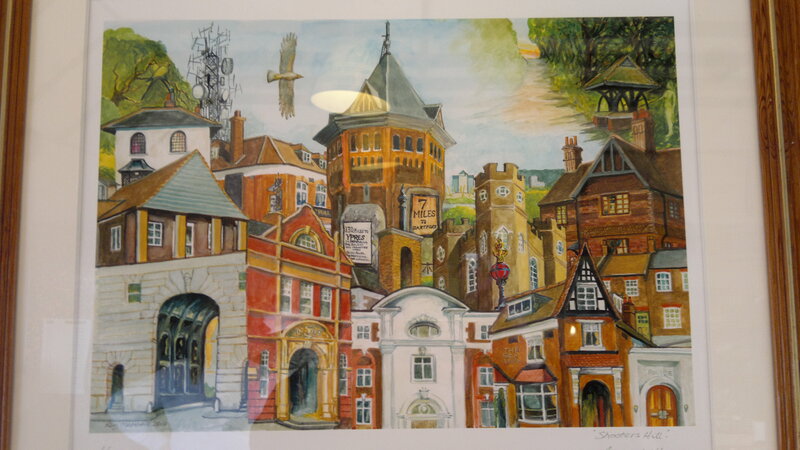 This depicts many Shooters Hill landmarks, for example the Water Tower, the Bull, Severndroog Castle, Ypres milestone …. even one of the wrought-iron encased red balls that sit on top of the pillars outside Herbert Pavilions. Ray is a member of the Plumstead Painters and Potters group which regularly exhibits their paintings, watercolours and pottery. There are many other artists associated with Shooters Hill – William Robert Earl, Colin Ashford, Jon Sullivan to name just a few. I hope they will feature in future posts. As a one-time chemistry researcher I was very fascinated to discover that Michael Faraday was for twenty-one years the Chemistry Professor at the Royal Military Academy – between 1830 and 1851 – and that set me searching for other scientists who worked in the local area. I was pleasantly surprised at how much there was to find out about science research in Shooters Hill and Woolwich. 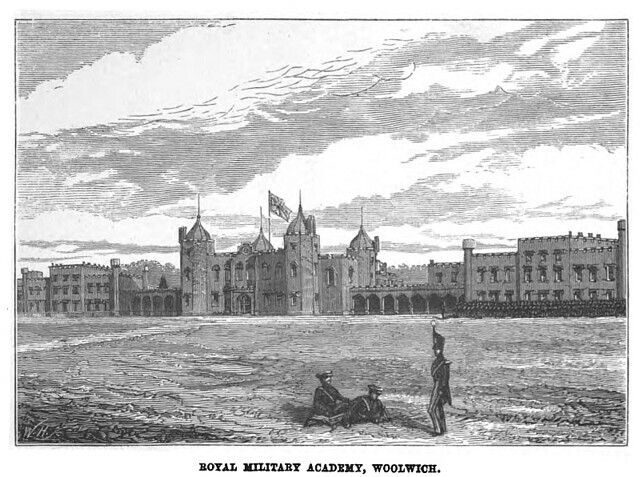 The picture of the Academy above is from a book called “The Gentleman Cadet His Career and Adventures at the Royal Military Academy Woolwich” by R.W. Drayson which tells the story of life as a cadet in around 1844, when Faraday would have been lecturing. Faraday is widely regarded as one of the great scientists, especially for his work on electromagnetism, which provided the basis for the technological application of electricity, such as in the electric motor and the transformer, and the concept of the magnetic field. He is also known for the discovery of benzene and the liquefaction of chlorine as well as fundamental work on electrochemistry. It is reported that Albert Einstein had photographs of Faraday, Newton and Maxwell on his wall. In 1825 Faraday started the Royal Institution Christmas Lectures, which are still going today. Farady resigned his post as Chemistry Lecturer at the Academy on the 9th February 1852, but little is known about his work while he was there. Faraday’s successor as Chemistry Lecturer at the academy was Sir Frederick Abel FRS. Abel was born in Woolwich in 1827 and became the leading British authority on explosives, working at the Royal Arsenal as well as the Royal Military Academy. 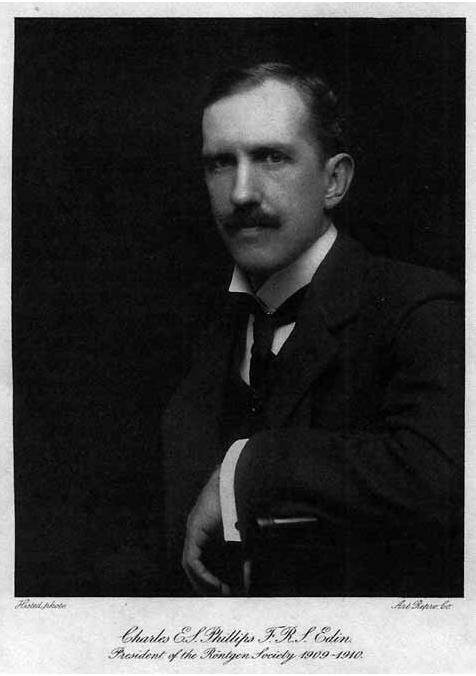 He won a patent dispute with Alfred Nobel, instigator of the Nobel Prize, who claimed that Abel’s Cordite infringed Nobel’s patent for Ballistite. Abel was responsible for the development of the Chemical Laboratory, Building 20, at the Royal Arsenal in 1864. To lecture single-handed to a class of seventy cadets on some abstruse problem in chemistry, accompanying it by some complicated practical experiments with things called retorts, and at the same time to keep order, is avery difficult task. The difficulties are further increased if you are a man of great kindness of heart, in love with your work, and not suckled on military discipline and methods. If you are of an unsuspicious disposition, you would probably regard it as a curious coincidence that seventy cadets at one and the same moment should light seventy crackling and noisome fusees. For smoking was once allowed in the east lecture-room to drown the stinking fumes which are the peculiar properties of experimental science. You might even pass unnoticed the extraordinary fact that, five minutes later, seventy wax matches were struck in succession from the left-hand end of the front desk to the right-hand of the back row. Wrapt in the task of transferring some deep calculation from the brain to the blackboard, with your back turned to the audience, you would certainly — unless you were built differently to other people — miss seeing half-a-dozen cadets shinning up the tall pillars supporting the iron roof. But if you turn suddenly and catch them sliding down — well, it is a different matter. Perhaps you may have occasion to bring off a slight explosion by the judicious mixture of certain acids, an explosion which reverberates through and shakes the lecture-room in the most unusual manner. When the smoky fumes clear away you may be surprised to find that seventy cadets are stretched prone on the floor behind the desks. But when an individual, with the conscious innocence of youth on his bland and chubby face, in response to your invitation to explain matters, assures you that he was fairly bowled over by the shock, what are you to do ? How can you possibly punish this child-like candour ? Peter Barlow, a mathematics lecturer who invented new telescope lenses, known as Barlow Lenses, that didn’t distort colour. 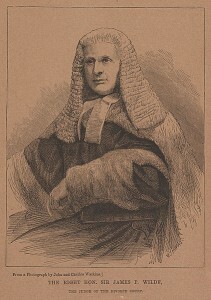 James Marsh, who was born and died in Woolwich and who assisted both Faraday and Barlow. He invented the Marsh test for detecting arsenic, following a request to test some coffee that a murder victim had been drinking shortly before he died. Samuel Hunter Christie FRS who also worked with Peter Barlow and is known for his improvements to the magnetic compass. Other Shooters Hill scientific activities during the eighteenth and nineteenth centuries included the experiment in telegraphy using static electricity conducted on Shooters Hill by Dr Watson, bishop of Llandaff described in an earlier post. There is also a claim, in W.T. Vincent’s “The Records of the Woolwich District”, that Shrewsbury House was the birthplace of gas lighting in the early nineteenth century. A Mr. Winsor was said to have experimented with gas before the introduction of gas lighting, and to have erected the first gasometer in the grounds of Shrewsbury House, though this claim is subject to some doubt. Castle House in Shooters hill was the home of Major Charles Edmund Stanley Phillips who has been described as the first British Medical Physicist. Major Phillips was the son of Samuel Edmund Phillips, the co-founder of the Johnson and Phillips Cable Company who is commemorated in the shelter in Shooters Hill Road, and he also donated the Telegraph Field to provide a site for the War Memorial Hospital. Some of his experimental work on electrical discharges and X-Rays was carried out Castle House, and he also used to ride by horse from Shooters Hill to work at the Royal Marsden Hospital in South Kensington. 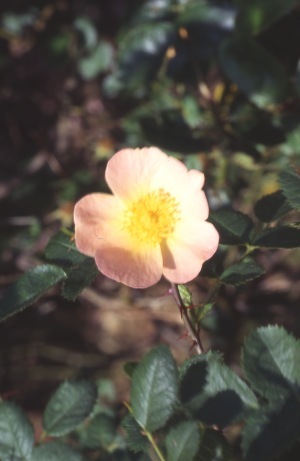 As well as his scientific work Major Phillips was an artist who exhibited at the Royal Academy and a violinist who owned a Stradivarius violin. Scientific research, especially in explosives, continued at the Royal Arsenal from the time of Sir Frederick Abel almost up until its closure. This included research starting in the 1930s on the explosive known as RDX – an explosive that is more powerful than TNT. The term RDX is believed to stand for Research Department eXplosive, and the Chemical Research and Development Department at the Royal Arsenal were one of the originators of the term. Then in 1947 a project code named Basic High Explosive Research (BHER) was initially based at the Royal Arsenal, led by William Penney who became known as the Father of the British Nuclear Programme. This was the start of the project to develop Britain’s atom bomb. The other local centre for scientific research in the 20th Century was the Woolwich Polytechnic, later to become part of the University of Greenwich. I was very pleasantly surprised to discover that the Chemistry Department there had been run for 32 years by Professor Arthur I Vogel. I remember with affection Vogel’s text books on analytical chemistry which were an essential part of my scientific education, and are still used today (with updates). The most famous alumnus of Woolwich Polytechnic however must be Professor Charles K. Kao, winner of the 2009 Nobel Prize for Physics for his pioneering work on fibre optics at STC in Harlow – work that has been described as being as important as that of Marconi. Professor Kao’s many awards include an honorary degree from the University of Greenwich, but it seems especially fitting in view of the scientific history of the area that his awards also include the Faraday medal of the IEE.